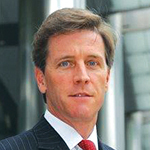 Tim Wilkinson, Principal & Founder, Afinishay Capital. With ever-growing signs of a return to policy normalisation across developed markets, the asset allocation challenge for institutional investors has only become more pronounced. To remain overweight equities in the face of ever-increasing indications that the end of the long running, government sponsored party is now in sight, or reallocate towards the still compressed yields on offer across the fixed income curve? The bravest and most rational call has been to allow cash levels to build, but the alarming capitulation evident in January, as equity markets raced ahead in the face of rising bond yields, highlights once again there is only so much pain that one can take (or justify) and that it rarely pays to be brave for too long, especially when fighting the fed. While February’s sharp reversal contained its own timely reminder of just how far out on the precipice we potentially are. There are other “alternatives” of course, but a decade of zero interest rates and periodic deployment of QE (estimated to have reduced the effective interest rate to -3%) has not just floated the equity and fixed income boats, but has also resulted in sustained and material yield compression across all recognised illiquid alternative asset classes. In response to this there has been no shortage of creativity on the part of providers coming up with new ideas to cater for the shifting needs of investors. And, as ever, good things and bad things have emerged from this latest bout of innovation. The desperate search for alternative sources of yield has even resulted in the emergence of an entirely new and self-fashioned asset class: secure income. The critical difference from bonds being that the underlying asset generating the reliable source of income is much more illiquid. Accordingly it should come with a meaningful illiquidity premium. An extended period of low interest rates and negligible inflation has justifiably seen sights lowered as regards to targeted returns, but the era of low nominal returns now looks to be coming to an end. And given that such adjustments are rarely smooth or seamless, the question begs how each of these secure income strategies would perform in the face of a two or three standard deviation event. At which point the much less liquid nature of the underlying asset may well come home to roost. Add to this the fact that the coupon payable on many of these secure income alternatives to bonds is rarely going to be guaranteed reliant instead upon the continuation of the contract or arrangement that produces the income, and all the ingredients appear to be there for a number of these strategies to fail to deliver the alternative source of yield and downside protection they were meant to offer. This does not necessarily mean investors in such secure income strategies have made poor asset allocation decisions. The reality is that the squeeze on yields has gone on for so many years, that investors have been left with no option but to seek return from outside the established universe. An investor sitting on excessive and growing levels of cash in the face of such accommodative monetary conditions will invariably be judged more harshly (and sooner) than those at least trying to eek out acceptable returns elsewhere. But good secular developments have also emerged from this further reconfiguration of the typical portfolio make up and there are numerous positives to highlight. Firstly, the secure income phenomenon has certainly not been all bad with a number of the strategies offered looking capable of delivering the income streams promised, whilst the hard asset-backing should deliver incremental return in the good times and a measure of downside protection in the bad. Secondly, and more importantly, these strategies form part of a larger universe of new asset classes that have been made available for pension funds and others to invest in. Those providers who have listened to investors needs and paid close attention to the evolving framework within which many pension funds operate (especially in terms of structure and governance) have been deservedly rewarded with allocations of new capital. Whilst, philosophically speaking, this continued expansion of the universe of investible assets can only serve investor’s best interests, at a time when the valuation of traditional assets has become so extended, and following an extended period within which the capacity and liquidity offered by those markets has been shrinking not expanding. A third positive development of the last 10 years and the reaction to the financial crisis is the trend of patient pension fund capital gradually and inexorably replacing much more fickle and less reliable bank lending to provide sustainable working capital to sectors such as housing and infrastructure, particularly to those at the lower end of the food chain. For these are the types of business activities which create real employment (as opposed to zero hours or part-time and casual contracts). And while this process is far slower than ideal, it can only be a good thing in the medium and long term as regards sustainability and growth in business activity. Fourthly, and partly a corollary of the trend outlined above, an additional positive, which has established a much stronger foothold in market psyche over the last five to 10 years is the theme of responsible and sustainable investment. Not just paying lip service to this, as some investors once might have (as they legitimately followed the primary objective of their mission to seek out superior risk-adjusted returns) nor the use of SRI and ESG as mere acronyms or buzzwords within the pitch decks of the sell-side. Instead a real and genuine commitment has evolved, as demonstrated by the formal adoption into their charter by the UK LGPS to make responsible and sustainable investing a cornerstone of their stated objectives. The acid test of whether an investment strategy or co-invest opportunity qualifies, being if the activity being invested in will make a positive contribution – socially, economically or environmentally, or all three – and will make a difference to people’s lives and to preserving and protecting the resources of the planet we inhabit. Here again, a new phrase has caught on and most everyone is now talking or writing about genuine “impact investing”. 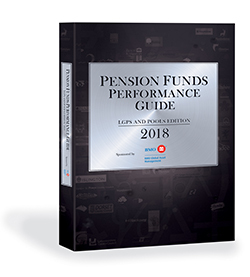 Fifth and finally, it is important to note the very positive step change occurring in the way that the larger pension funds are now engaging with the private equity markets and other illiquid assets segments. A changing model is evolving to replace the conventional 2&20 fee structures, that enabled too many service providers to do well out of fixed fees without actually delivering any decent returns. This is gradually being superseded by a much better-aligned model, whereby managers and operators are either furnished with working capital by investors in return for a minority equity stake in their underlying business: or else they cede some degree of control to investors as to the way in which monies received from any agreed fees charged are deployed. This increased de facto control and oversight is achieved by the awarding of Board or Investment Advisory seats to investors or their nominated representatives. This seat at the high table in turn enables investors to robustly oversee how the key decisions of the business are being made and reached. Investors are thereby able to ensure full compliance with the stated mandate, and crucially in a position to do this ex-ante as opposed to learning after the fact of unacceptable variance or risk having been taken. In return, managers and operators are more richly rewarded for the actual delivery of good results (instead of getting rich from charging high fixed annual fees). There are a number of variations upon the theme here, but the central tenet is a significant improvement in the alignment of interests and much stronger governance framework for investors. It has been an extraordinary and unique decade for markets, within which the financial services industry has once again shown itself capable of adapting well in the face of adversity and extended periods of hitherto unchartered territory. And in amongst all of the uncertainty and highly unorthodox behaviour of markets precipitated by an equally experimental monetary policy, further secular improvements have been made to the model, and the majority of these will hopefully prove to have been in the best interests of end investors. The acid test for many will come in the almost inevitable and likely protracted market turbulence that lies ahead.